When Jen was looking for new shelving and fell in love with the industrial shelves at Crate & Barrel, but not the $1500 price tag! And although Jen is one of the most talented ladies I know, welding isn't one of her strong points. 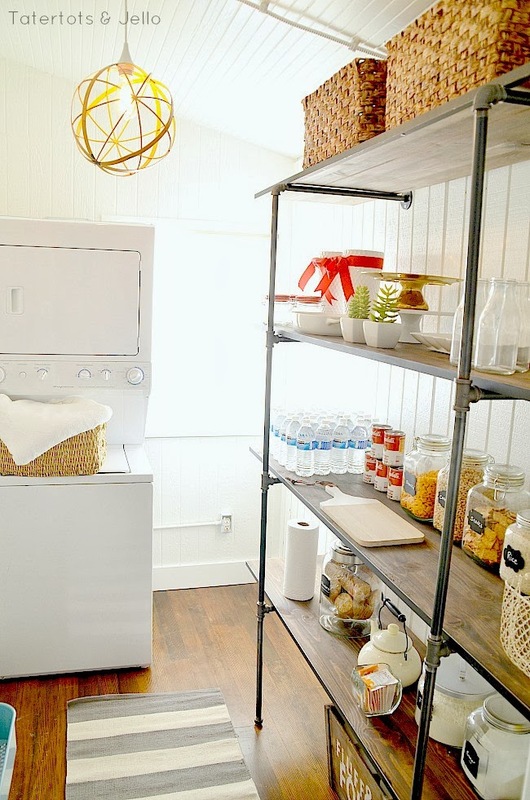 But finding an amazing way to make DIY industrial shelving without needing to know how to weld obviously is, because she came up with this amazing idea that is a thousand times better looking than the $1500 set. Now I am obsessed with finding a place to replicate it in my house! I love how Jen makes pipe from the plumbing department of her home improvement store look so good! You can check out how to make your own set of DIY Industrial shelves over at Tatertots & Jello.